Text of A Course in Miracles. you have ever experienced before. This album-length, full CD-quality studio recording features carefully selected meditative music tracks artfully mixed under the narration. first recordings from the Course’s Text. or on the CD image to the left! 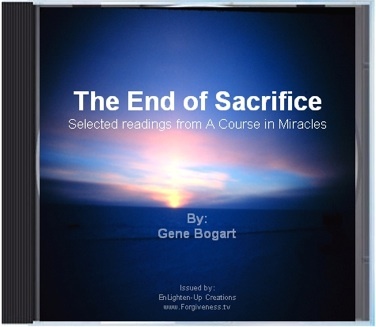 …by experiencing The End of Sacrifice. among your friends and family. 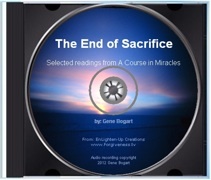 The End of Sacrifice CD.